Browse our list of frequently asked training questions. Browse our list of frequently-asked-questions to find out pertinent information about our training courses. What’s the difference between Fundamentals and Practitioner courses? Do these courses offer certification? What are the requirements for obtaining Auditor, Internal Auditor, or Lead Auditor certification through the American Petroleum Institute (API)? 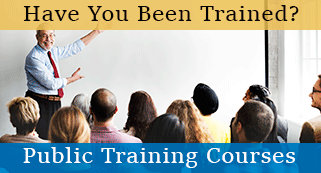 Where are your public training courses held? Our Fundamentals course teaches the basic components of the specification and is 2.5 days long. The Practitioner course offers an extended look into the specification by going into more detail and is an additional 1.5 days to the Fundamentals course. This is not a certification course; however, training in the standard helps your company to become certified. This is strictly a knowledge-based course; meaning, it is provided to strictly enhance your understanding of the standard. As a stand-alone course, these offerings will not certify you – neither as an individual or your company. Beware if other training providers claim that these alone grant you certification – this is false. HOWEVER, if you are pursuing an Auditor Certification Scheme under API’s Individual Certification Program (ICP), each of these courses will count as credit towards ANY auditor certification scheme. Please note that in addition to taking these courses, you must complete other qualification criteria for certification. These requirements can be found through each individual ICP page below. These pages also contain information on how to schedule the exam component for your certification. Please review API’s certification requirements for the specific auditor certification scheme that can be found here. QSI’s API Lead Auditor training course fulfills the auditor training requirement for all certification schemes – regardless if you’re pursuing auditor, internal auditor or lead auditor certification, or whether you’re certifying to Q1 or Q2. This course covers much of the Body of Knowledge topics required for passing your certification exam. These topics can be found by clicking the “Exam Info” tab under the specific auditor certification scheme you wish to pursue.